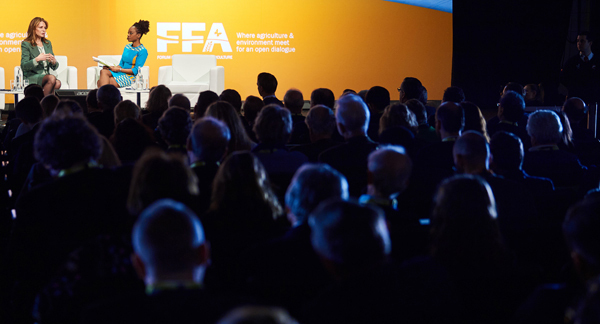 Speaking to a full room at FFA2018, Her Majesty Queen Noor Al Hussein of Jordan acknowledged the “spectacular progress” that has been made in improving the wellbeing of billions of individuals in recent decades. This has brought significant declines in extreme poverty and infant mortality, and increases in literacy rates and women in the workforce. But these advances have been uneven and bypassed many communities that “remain plagued by stubborn, unmet, basic human needs”. Their plight is being further exacerbated by the effects of climate change, agricultural practices and poor water resource management, she pointed out, emphasising the need for equitable and balanced development. The UN’s sustainable development goals provide a long-term framework for action. But Queen Noor stressed the need for urgent action today since the many challenges “are having profound international consequences right now” – one of the most visible being the forced migration of millions of people. Her Majesty described the forum’s focus on food, agriculture and environmental protection as “central to how we address the challenges we face, given the links to virtually every dimension of society, economy, human welfare and peace and security”. She emphasised the need to empower women and youth. Rural women, she pointed out, are the family anchor. They produce and provide food in local communities and “store a cumulative wisdom and knowledge of generations past”. The Noor Al Hussein Foundation’s work focuses on developing the national and economic potential of women and the poor, providing education, training and income-generating opportunities. Its capacity building model is now followed by over 20 countries in Western Asia. The results promote local and national stability and prosperity by reducing poverty and hunger, improving health and education and combatting desperation and radicalisation. The King Hussein Foundation is investing parallel efforts in helping young people, especially from underserved communities. “Witnessing these students grow and succeed has been my most rewarding work in our foundation,” Her Majesty confided, urging others “to support, mentor and train this next generation”. In addition, women and youth must be involved in decentralised decision-making to ensure a more equitable distribution of development benefits. Experience in Jordan has shown that “open, inclusive and integrated development approaches” are essential to raise the wellbeing of entire communities, she added. 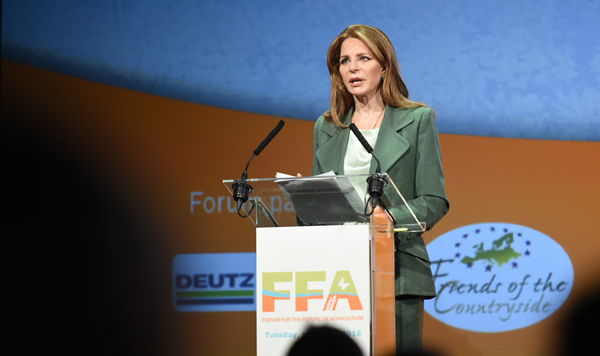 Queen Noor had a specific message for the private sector. She called on it to ensure rural farmers have access to new resource-efficient, higher yield crops, to improve distribution systems and to share knowledge and training. More widely, she asked it to invest in empowering women and young people; to incorporate these communities’ expertise into efforts to advance food security; and to work effectively with governments to achieve these many aims.